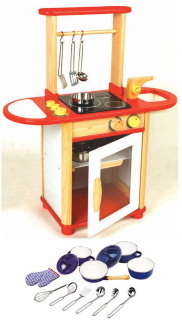 This role play wooden kitchen includes 12 pieces of kitchen equipment as shown in the picture. 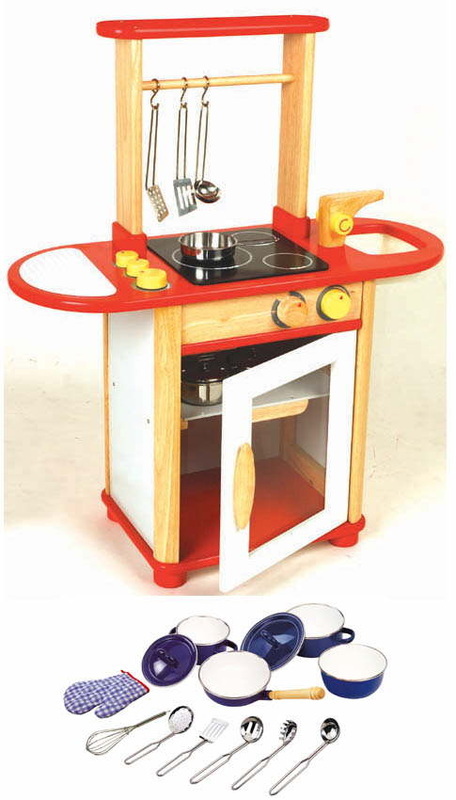 This will allow your child to start cooking straight away ! !